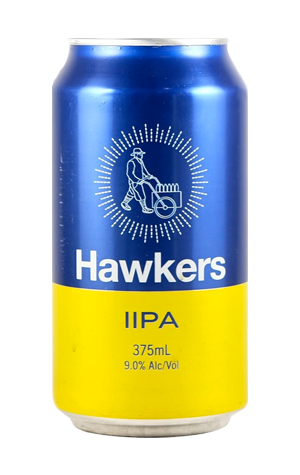 It’s been quite the busy six months for Hawkers Beer. Since installing a canning line, the brewery’s core range has expanded dramatically, effectively doubling in size. But, through all those changes, if you could highlight a common thread through the brewery’s beers, it’s that they favour balance, something that rings true with both the core range and the limited releases. It was the case for the first IIPA to leave the brewery last year and it’s equally true of the second release. Indeed, it seems the beer’s only major difference is the way its packaged. It’s still loaded with hop flavours: mango, citrus and a resinous piney quality being the most prominent. While there’s some malt sweetness, it retains a lean body, with a balancing bitterness, and steers clear of any boozy heat. However, at 9 percent ABV, there’s still one challenge with such a beer: you’ve got to watch how you drink it.